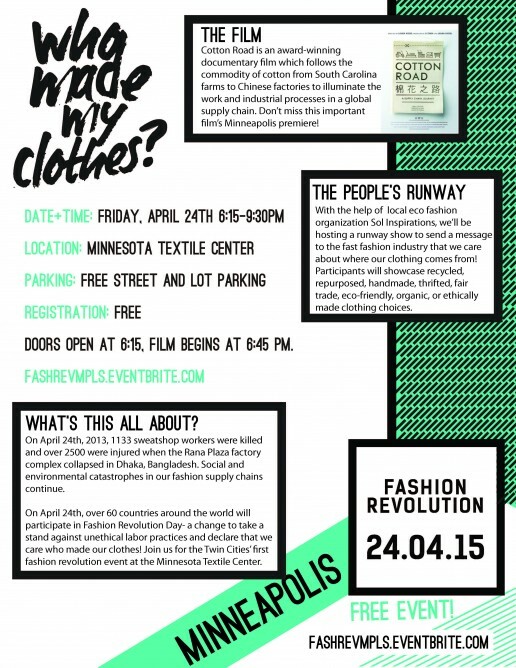 On Friday, April 24th, from 6:15-9:30pm, local small businesses, activists, and students will come together in the Twin Cities to participate in Fashion Revolution Day on the anniversary of Bangladesh’s Rana Plaza Collapse. 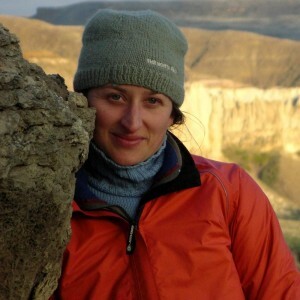 This will be Minnesota’s first Fashion Revolution Day event, to be held at the Minnesota Textile Center in Minneapolis. On 24 April 2013, 1133 sweatshop workers were killed and over 2500 were injured when the Rana Plaza factory complex collapsed in Dhaka, Bangladesh. Social and environmental catastrophes in our fashion supply chains continue. On April 24th, over 60 countries around the world will participate in Fashion Revolution Day- a change to take a stand against unethical labor practices and declare that we care who made our clothes! Many local small businesses that sell ethical goods will be participating in and/or supporting the event, including Ten Thousand Villages in St Paul, Hackwith Design House, and Global Mamas. The main feature of the evening’s program is a viewing of Cotton Road, an award-winning documentary film which follows the commodity of cotton from South Carolina farms to Chinese factories to illuminate the work and industrial processes in a global supply chain. This will be the film’s Minnesota premiere. The evening will also include a runway show, organized by local eco-fashion organization Sol Inspirations — local ethical companies will be on hand in the event’s marketplace offering ethical clothing, accessories, and more!